This literary-historical study seeks to dismantle the prevailing notion that Germany, in the period following the Second World War, exhibited an “inability to mourn,” arguing that in fact this period experienced a surge of affect. 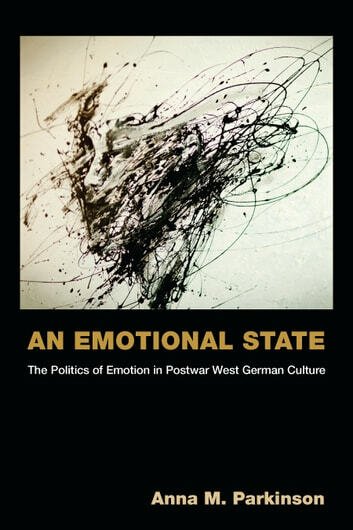 Anna Parkinson examines the emotions explicitly manifested or addressed in a variety of German cultural artifacts, while also identifying previously unacknowledged (and undertheorized) affective structures implicitly at work during the country’s national crisis. Much of the scholarship in the expanding field of affect theory distrusts Freudian psychoanalysis, which does not differentiate between emotion and affect. 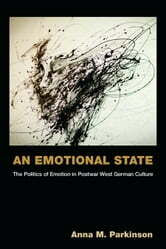 One of the book’s major contributions is that it offers an analytical distinction between emotion and affect, finding a compelling way to talk about affect and emotion that is informed by affect theory but that integrates psychoanalysis. The study draws on the psychoanalytic writings of Freud, Margarete and Alexander Mitscherlich, and André Green, while engaging with interdisciplinary theorists of affect including Barbara Rosenwein, Lauren Berlant, Ann Cvetkovich, and Eve Kosofsky Sedgwick among many others.